10100 TDW Storo vessel m.v. 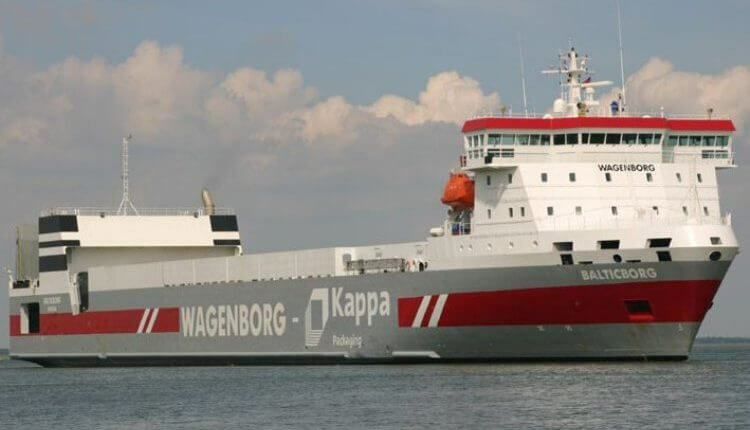 Balticborg - Conoship International B.V.
Volharding Shipyards delivered to the shipping company Royal Wagenborg two identical Storo carriers. These vessels has been designed and constructed for the carriage of wood pulp, paper reels, containers and trailers. The main trading area of is the Baltic Sea, the North Sea and the Gulf of Bothnia. 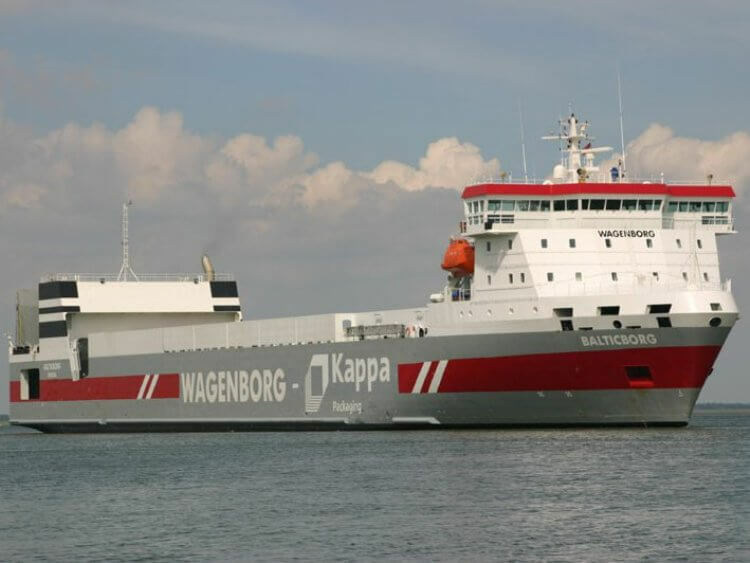 Therefore the vessel has been constructed in compliance with the Finish-Swedish ice class requirements. The vessels have two enclosed holds and an upper deck. A stern ramp gives access to the upper deck, main deck and tanktop. A fixed ramp on port side leads to the upper deck, where a fixed ramp at starboard leads to the tanktop. The wheelhouse is situated at the fore ship and the engine room is situated at the aft ship. Trailer load upper deck 36 stc. Trailer load main deck 49 stc. Trailer load bottom 24 stc.